Nintendo will begin offering a Nintendo Switch bundle without a dock, but only in Japan. This may read as a pivot to a handheld-centric device, but Nintendo is selling this discounted bundle for second console shoppers. 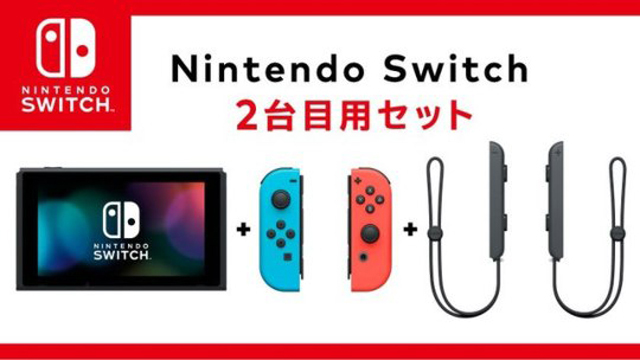 As part of the firm’s plans to expand the number of Switch users per household, the Japan-only My Nintendo store will retail a Switch bundle that includes the core console and lets shoppers choose their Joy-Con and Joy-Con wrist strap colors (both left and right). The dock-less bundle will retail for 26,978 yen, or $250 USD. The normal SKU for the Switch costs approximately 32000 yen, or $300 USD. No AC adaptor is included, which retail for $20 on their own. Nintendo’s Fiscal Yea 2019 projects 20 million more Switches sold by March 31st, 2019. As part of achieving those lofty numbers, Nintendo is targeting a broader audience to invest in their IPs and hardware. Selling a slightly discounted Switch that targets family members and second console purchasers is one way to hit that goal. The recently-launched DIY Labo kits also demonstrate this fiscal goal at work. No such news of a dockless Switch bundle has been announced for western markets at this time.